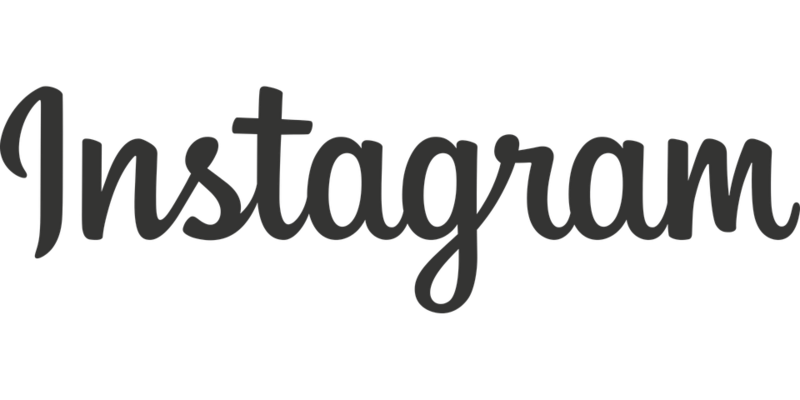 Visual social media platform Instagram has added new, long-awaited functionality for users. 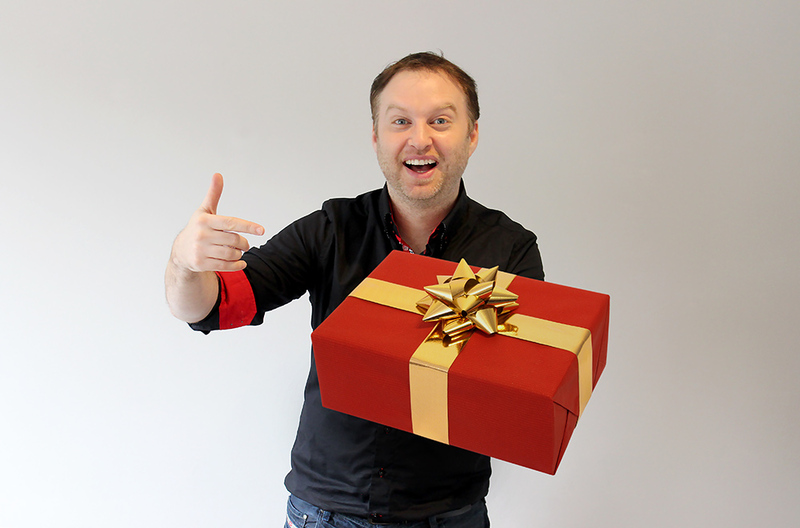 An announcement today revealed that comments can now be liked in order to create a more friendly environment. Previously, comments were only able to be posted. Aside from that, no other modifications could be made. A comment was put up, and that was it. Today, that all changes. Little heart icons will now display next to each comment. Simply tap the heart icon to like a comment. Now, Instagram users can dole out likes just as they do on Facebook. 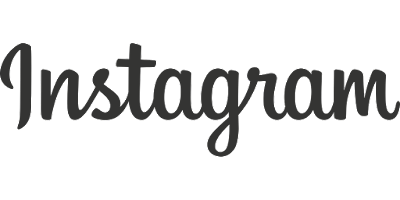 The new feature first started rolling out in November, according to Buzzfeed, but is now available to all Instagram users. 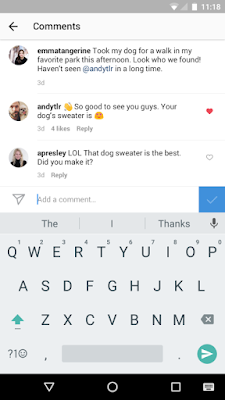 Kevin Systrom, co-founder and CEO of Instagram, said in a blog post, "Comments are where the majority of conversation happens on Instagram. While comments are largely positive, they're not always kind or welcome." 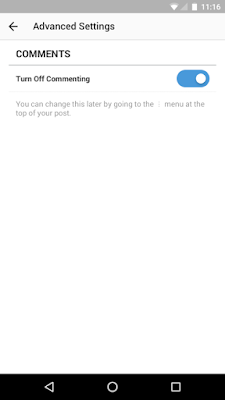 With the new update, users will also have the option to disable comments on posts. Sometimes content needs to "stand on its own" without influence from outside sources. Disabling, as seen on YouTube and various other platforms, will shield sensitive posts from inflammatory comments and negative diatribes. For now, this feature has yet to be widely rolled out an is only available on select accounts. In the coming weeks it will be made universally available. To disable comments, go to "Advanced Settings" and select "Turn Off Commenting." 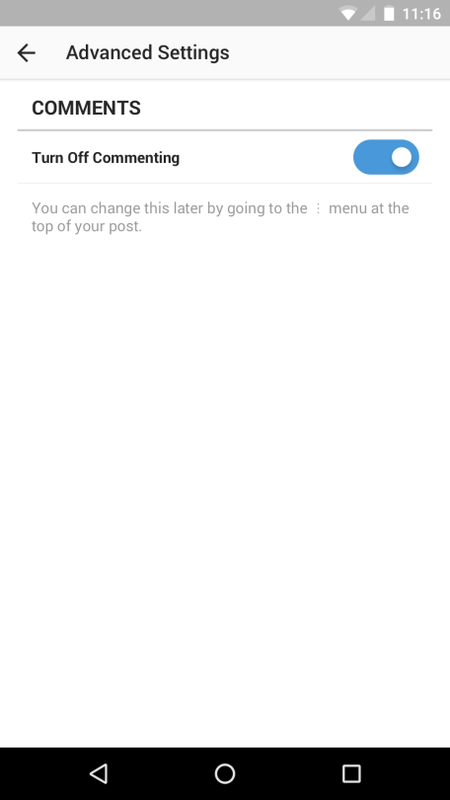 This can be toggled before or after posting, by selecting the ellipses (...) to turn commenting on or off. Before the update, Instagram allowed comments to be filtered by keyword. An inaccurate method at best, the feature only blocked comments containing specific words. However, if a commenter was determined enough, they could easily get around this block by using different words or refraining from using profanity. The new comment disabling function will make it so that users be able to exercise control over their "comments experience." A lesser aspect of the update is the changes to private accounts. For private accounts, followers must be approved before being given access. Once added, followers could only be removed by blocking them. With the update, followers can simply be removed. Tapping he ellipses (...) next to a person's name will give you the option to remove them from your followers. The removed person will not be alerted. Additionally, an anonymous reporting tool has been added to alert Instagram to posts featuring self-injury. 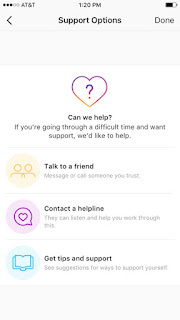 First revealed in Seventeen magazine by Instagram's Marne Levine, the tool allows users to flag others who may seem on the brink of hurting themselves. 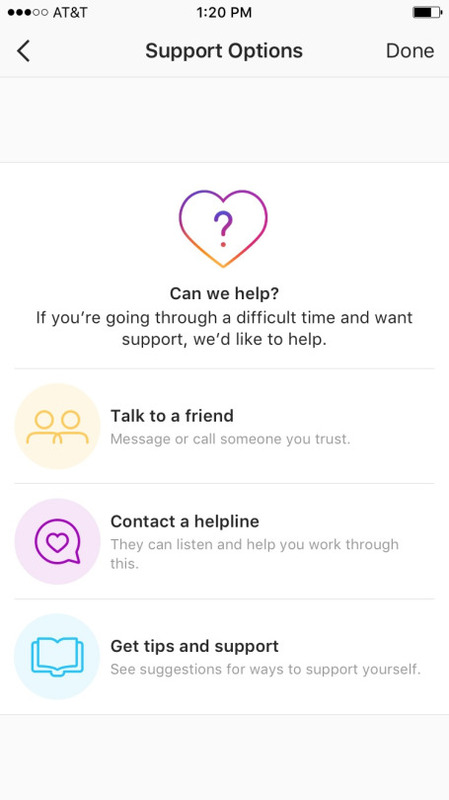 Once alerted to a potential case of self-harm, Instagram connects the person with real-world sources for help. There are a range of options presented to flagged users; Instagram offers tips like talking to a friend, local helplines, Anyone searching for banned hashtags (e.g. #thinspo) will be redirected to the support system. Systrom said that teams will be working 24/7 to monitor reports.